JT says summer starts now. 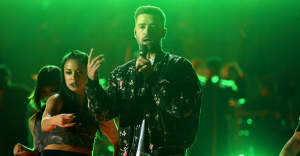 Having been fairly quiet since his February album release, and Super Bowl performance, it looks like Justin Timberlake is back for the summer, releasing a summertime loosie titled "Soulmate" today. The track is highlighted by a light flurry of shakers and a groovy rhythm backed by some bongos.